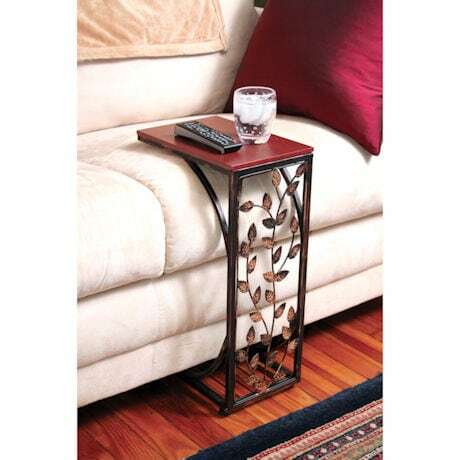 The Sofa Side Table is contoured to pull up directly to your couch providing the perfect spot for snacks, beverages, your reading glasses or remote. Stop awkwardly balancing plates or glasses on your lap! Curved black metal frame slides underneath your couch, while the sturdy, wood-stained tabletop offers a stable platform for food and beverages. 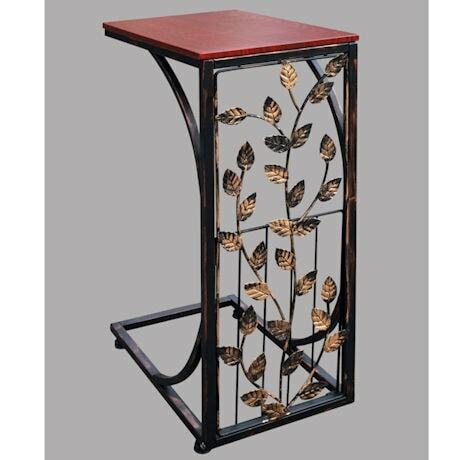 Our handy table features a beautiful brass leaf design on the front, which compliments any home decor. Black. 21¼" × 12" × 8¼".